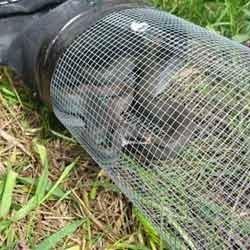 Matching up with the requirements of our clients, we are involved in offering Mouse Cage. - The trap cages presently used by the forest department are heavier and bulky (~1500 kg). - Transportation of these cages is cumbersome, as 10-15 people are required to move this cage. - Transportation of these cages is costly as only one cage can be properly accommodated in a truck. The concept of E-Trap is based on the fly behaviour. Attracts and traps all types of fly. Especially, more egg-laden female flies. 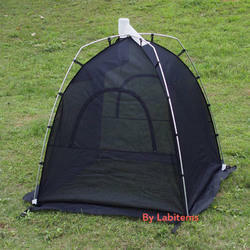 Each E-Trap can trap more than 60000 flies in a day Uses an organic lure, the attraction of which lasts up to 5-7 days. We are offering our client Rat Restrainer. Available in different sizes these are made from high quality raw material. These are suitable for moving the rat over a short distance or a cursory examination. We offer our range of Rat Restrainer at market leading prices. Leopard Trap Cage is made from light weight but sturdy material for rugged construction and easy transportation. The Tigers are allured by a prey kept in a chamber inside the cage and when the tiger approaches the prey, a mechanical trapping system gets activated to slide down the rear door to trap the tiger.